Without a race track to host competitions between thoroughbred racehorses there would be no races to bet at an online racebook. The race track exists to provide betting but it also has a large number of other purposes. A well-run race track has several jobs to do. Here is a closer look at the job of the racetrack. Each racetrack in the world has the primary job of hosting racing events. This means that the track must have facilities that can accommodate this type of event. The primary requirement, of course, is a race course. Most tracks have two courses, one of dirt and one of grass. In some countries like Australia, all races are ran on the grass. A track must also have a paddock area where horses can be saddled before a racing event. This is an area that will contain separate stalls for each horse that is entered in a race. There is also seating that is required for patrons. This will usually consist of an outdoor seating area known as the grandstand, and an indoor seating area that is sometimes called the clubhouse. Each racetrack is equipped with a betting facility that is tied into a tote board. The tote board is what displays a record of all bets that have been made on certain horses. The racetrack must be able to keep track of odds, determine which horses finish and in which order, and pay winning bets. Most racetracks also have a simulcast betting operation as well. This system uses video to stream the races in progress to offtrack betting parlors around the country. Any other racetrack that receives the stream of the races can offer betting to its patrons. At each racetrack there is a vast complex which is not usually seen. This is called the backside. The backside is an area that is full of barns for horses. Trainers that bring their horses to compete in races at a track are allowed to stable the horses on the property for the duration of the race meet. The trainer is responsible for buying feed for their horses and other care. Trainers usually do not have to pay for the stall space that they are given when attending a race meet. Racetracks also have housing space that is made available to the grooms and other workers that are need to help trainers keep their racing stable in operation. The space may be as simple as a cement room, or it can be as nice as a small apartment. Each trainer is given so many of these rooms to accommodate their staff. There is no charge for the grooms to live in the rooms while the race meeting is in progress. Another often overlooked job of the racetrack is protecting the welfare of race horses. Each track has a number of veterinarians that are on call to address medical issues that may be encountered by horses. It is also standard for a vet to perform a check on every horse that has been entered in a race before the race day begins. If the horse does not pass the vet check, it cannot be entered in the race. There are also stewards who oversee the welfare of horses and riders. The stewards are empowered to handout fines and penalties when someone breaks the rules. They can also intervene when they believe that a horse is being mismanaged by its connections. As you can see there is much that goes into operating a race track. 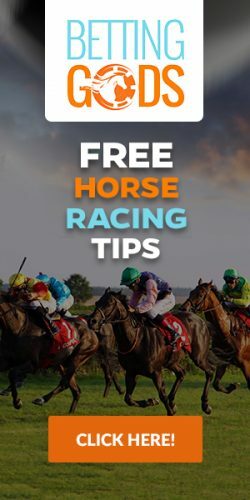 If you are ready to watch and wager on exciting horse racing from all over the world, why not take a moment to create an account with one of our recommended online racebooks. You will be given free past performances and a nice welcome bonus when you make your very first deposit.